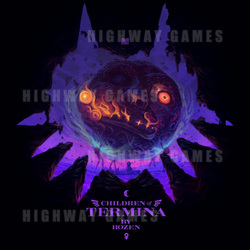 The Materia Collective has released Children of Termina, an in-depth musical arrangement that explores the lore behind the famous The Legend of Zelda: Majora's Mask. It has been arranged by Rozen and follows the hugely-successful Sins of Hyrule and Ballads of Hyrule with powerful orchestral arrangements. Several live performers are featured throughout the album, including Sofia Session Orchestra, Julie Elven (Horizon Zero Dawn) and Celica Soldream (World of Warcraft). The album is licensed and available in both digital and CD formats, as well as a limited edition vinyl.